All natural homemade dressing produced by Pizza 4P's. It's made with white wine vinegar, honey, mustard, and seasonings. The sweetness of honey and mild sourness of mustard blend amazingly well. It's not spicy and a popular dressing by both kids and adults at Pizza 4P's. 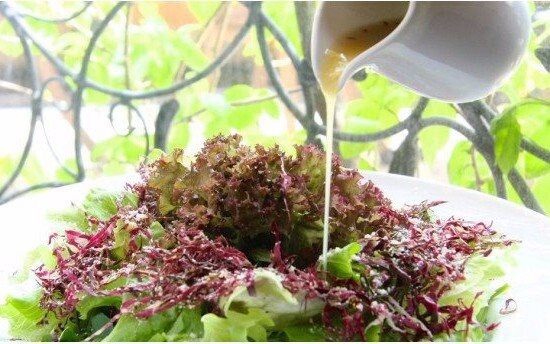 Honey mustard dressing is an all natural homemade dressing produced by Pizza 4P's. It's preservative and artificial coloring free and made with white wine vinegar, honey, mustard, and special seasonings. The sweetness of honey and mild sourness of mustard blend very well. If your kids are not fond of vegetables, try this dressing. 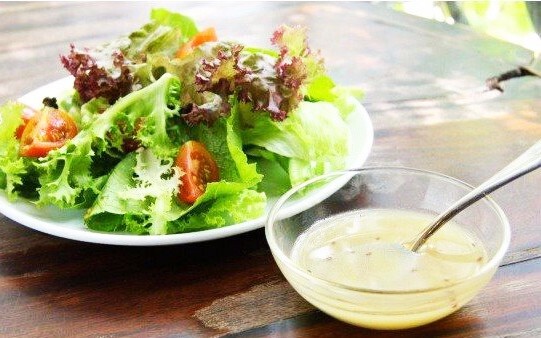 With honey mustard dressing, an everyday salad becomes their favorite dish.